Olivia Balmes Hotel is a modern city hotel, designed and built to satisfy the most demanding guests. With a 4-star superior rating, the hotel has 128 rooms, 4 meeting rooms with capacity for 200 people, restaurant, bar, terrace, solarium and pool. All of these services combined with exquisite guest services from all Olivia Hotels staff will make your stay unforgettable.- 128 rooms starting at 25m2.- Professional, personalized service.- Wide variety of quality 4-star superior services.- Free Wi-Fi throughout the hotel.- 1000m2 of space for all types of events.- Outdoor pool in the heart of Barcelona.- 500m2 terrace available for customized event.Seventeen RestaurantThe menu at Seventeen Restaurant at Olivia Balmes Hotel proposes a wide range of drinks for any time of day, to enjoy in the bar, on the hotel terrace or in the privacy of your own room.Solarium and PoolOne of the greatest things about Barcelona is its unbeatable mediterranean climate, which is why you'll find one of the most exclusive and attractive spots in the hotel on the top floor: the Olivia Balmes Hotel terrace. Olivia Balmes Hotel has a rooftop terrace with a pool, lounge chairs and a chill-out area. In this oasis in the heart of Barcelona you'll be able to enjoy the great weather, cool off and relax in our pool. Plus you can revive after a long day with one of our magnificent cocktails, made specially by the mixologist at Seventeen Restaurant. 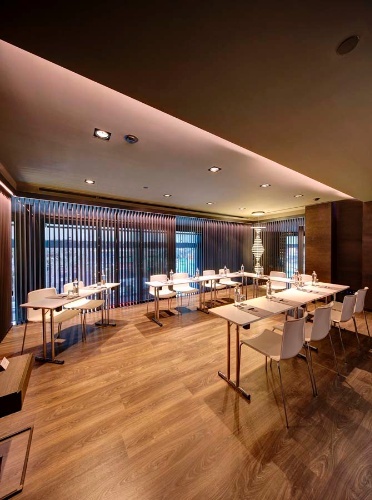 Below are the meeting, banquet, conference and event spaces at Olivia Balmes Hotel. Feel free to use the Olivia Balmes Hotel meeting space capacities chart below to help in your event planning. Hotel Planner specializes in Barcelona event planning for sleeping rooms and meeting space for corporate events, weddings, parties, conventions, negotiated rates and trade shows. Located on ground floor, 155 m2, one open space, natural light, access to outdoor terrace. 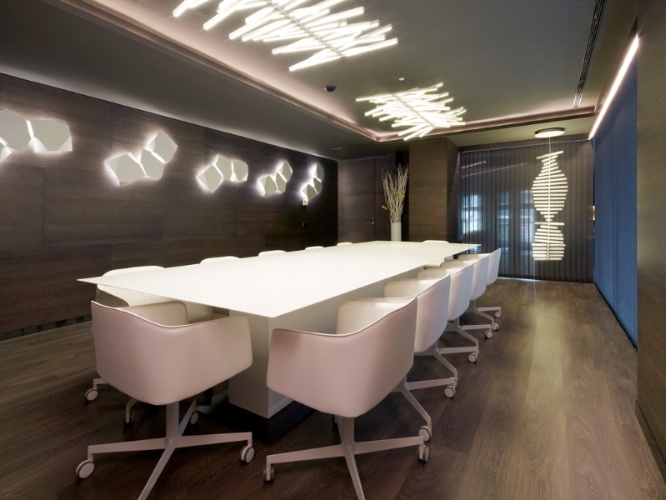 Located on the first floor, 30-40 m2, natural light, perfect for small-format meetings. 5 x 7 x 3 M.
Located on -1 floor, 125 m2, one open space, natural light, access to private foyer. 10 x 13 x 3 M.
5 x 9 x 3 M.